Social and emotional learning is at the heart of good teaching, but as standards and testing requirements consume classroom time and divert teachers' focus, these critical skills often get sidelined. 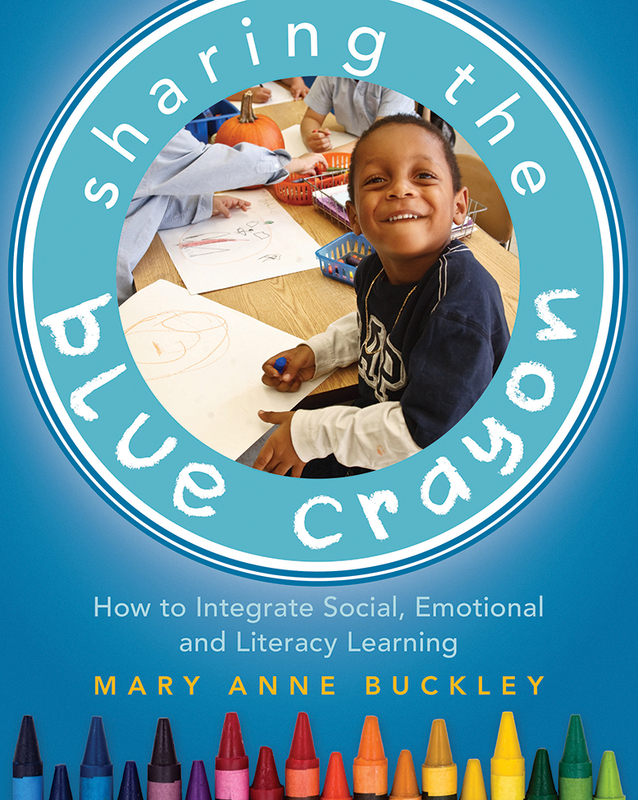 In Sharing the Blue Crayon, Mary Anne Buckley shows teachers how to incorporate social and emotional learning into a busy day and then extend these skills to literacy lessons for young children. Social and emotional learning is at the heart of good teaching, but as standards and testing requirements consume classroom time and divert teachers' focus, these critical skills often get sidelined. In Sharing the Blue Crayon, Mary Anne Buckley shows teachers how to incorporate social and emotional learning into a busy day and then extend these skills to literacy lessons for young children. Through simple activities such as read-alouds, sing-alongs, murals, and performances, students learn how to get along in a group, empathize with others, develop self-control, and give and receive feedback, all while becoming confident readers and writers. As Buckley shares, "Every day we ask young children to respectfully converse, question, debate, and collaborate about literature, science, math problems, history, and more. That's sophisticated stuff and requires sophisticated skills. Social and emotional skills are essential to helping children communicate their knowledge and articulate their questions. We must teach students how to build respectful, caring classroom communities, where students are supported and fully engaged in the learning and everyone can reach their potential." In this fresh and original book, Buckley captures the humor, wonder, honesty, and worries of our youngest learners and helps teachers understand how to harness their creativity and guide their conversations toward richer expressions of knowledge. Teachers of special populations will especially appreciate Buckley's successful strategies for reaching English language learners and children from high-poverty homes who may not have strong foundations for academic discourse. As Buckley reminds us, "By understanding one another—orally and socially at first, then using those community-building exchanges to strengthen the skills of reading and writing—we experience the authentic pride and sweet joys of learning, understanding, and connecting to one another."